Introducing The Corner Patch Gardens! Join Cornerstone Homes as we introduce the Corner Patch Gardens, our one-of-a-kind health and wellness amenity, on Saturday, September 23rd, from noon to 4 pm at the Villas of Magnolia Lakes. Enjoy “Fresh from the Garden” cooking & tasting demonstrations at 1, 2 and 3 pm, and ice cream on the boardwalk and in the lake pavilion. This gathering promises to be sow much fun! At Cornerstone Homes, we believe in growing happier, healthier 55+ communities. So our lifestyle team planted the seeds for the Corner Patch Gardens, combining our two favorite mantras: Never stop learning. And never stop having fun. We’re proud to say this special gathering place definitely fits the bill. Great fun and friendship are always in season at the Corner Patch Gardens, which will be offered at all of our communities and are exclusive to Cornerstone Homes! During hands-on demonstrations, residents will learn about different varieties of vegetables, fruits, flowers, and vines that can flourish in their community. They’ll enjoy seasonal food tastings, wine & cheese mixers, and garden inspired gatherings all year long. They can satisfy their curiosity about the benefits of their favorite herbs, or they can start a Gardening Club. There’s so much to do and discover at the Corner Patch Gardens. 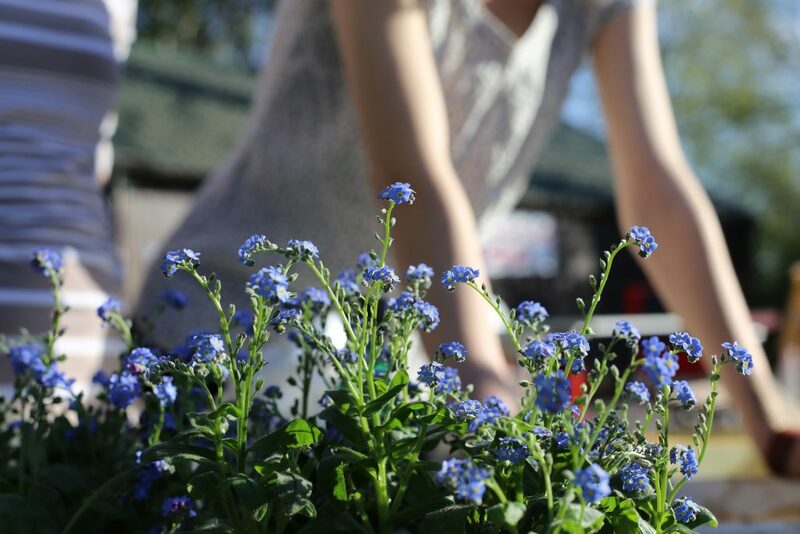 An expert farmer and garden coach will professionally manage The Corner Patch Gardens, planting, maintaining, growing and harvesting the gardens each season. Of course, part of the fun is getting your hands dirty, so residents will always be invited to workshops, planting seminars, and harvest events. At Cornerstone Homes, we’re always thinking of ways to help our homeowners enjoy their new homes to the fullest. Through the Corner Patch Gardens, our professional garden coach will also teach community residents how to turn their private courtyards into an ever-blooming source of enjoyment. With pots, grow bags and wooden containers, they’ll be able to enjoy beautiful flowers, plants and homegrown herbs and veggies all year long. 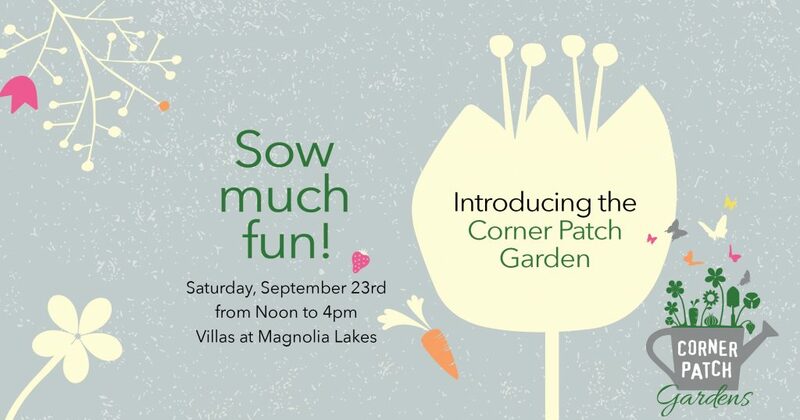 The Corner Patch Garden party will take place on Saturday, September 23rd, from noon to 4 pm at the Villas of Magnolia Lakes, 5800 Magnolia Shore Lane, Chester, VA 23831. For more information, please contact Dotti Houlihan at 804-726-4310 or at dhoulihan@cornerstonehomes.net.